Take the work out of party planning! Let us help your next event be a big hit!!! 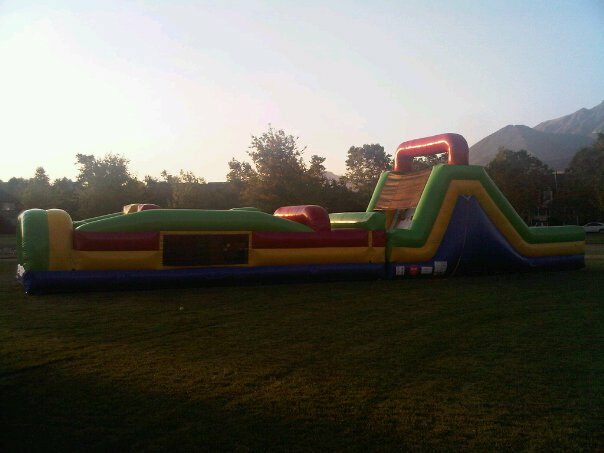 We love to make people JumpForJoy!! 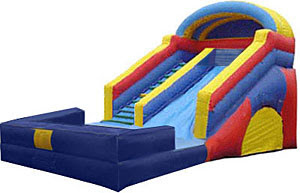 NEW 55' long Obstacle Course... Fun for ALL ages!! $300 for ALL DAY!!! 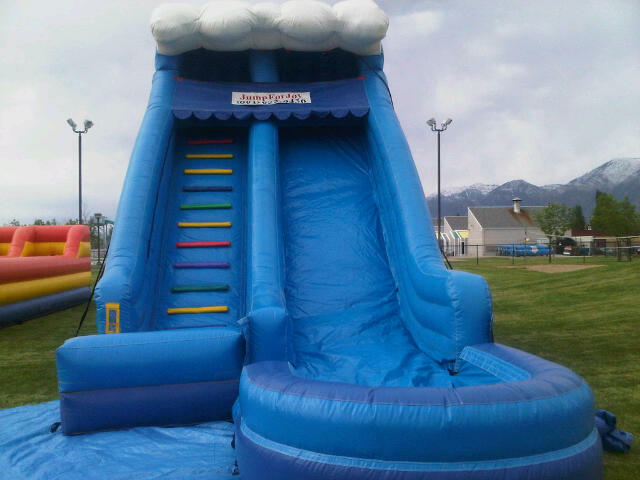 Great for carnivals, grad nights, corporate parties, city events, or even just a Super Fun Birthday... Call and reserve it today!! Castle Bounce House only $80 for the whole day! We have sumo suits! $130 for ALL DAY! That can't be beat! 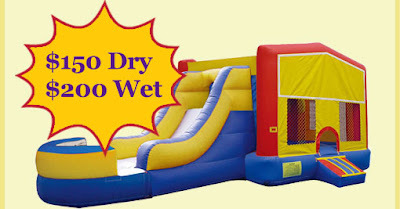 12 foot water slide great for ages 10 and under! 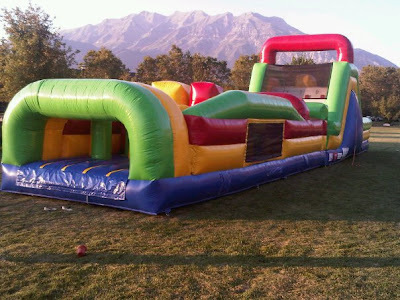 Great for corporate parties or to wear out the kids..Rent our Bungee Run!! 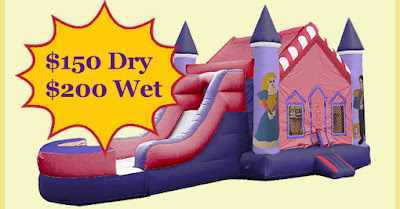 18ft High Inflatable Slide $180 Dry / $200 Wet Great for big groups of children! We specialize in the rental and delivery of fun and exciting party inflatables. 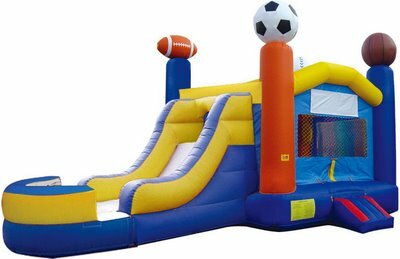 These inflatable bouncers, combos, slides, obstacle courses, water slides, and more are great for all ages. They will add excitement to almost any kind of party or celebration. Just give us a call and we'll be happy to help your party become a "JUMP" above the rest! Our rentals book up fast, so please call to check on the availability of the units. Let us do all the work! 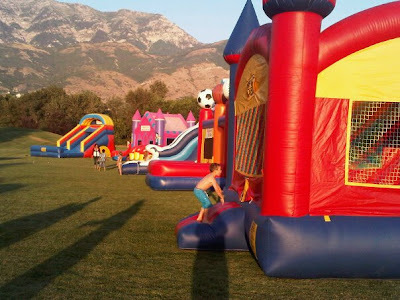 Our technician delivers the inflatable right to your home, park, school, or even indoor facilities such as a church gym. 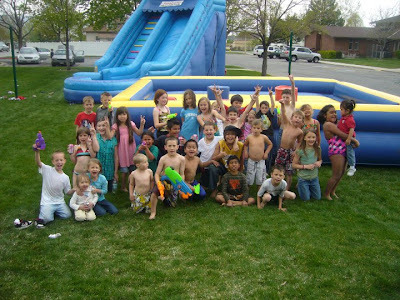 Don't worry about how you are going to entertain all of those kids... just add cake and ice cream and your party is planned! Become a fan on Facebook to get last minute specials and discounts! 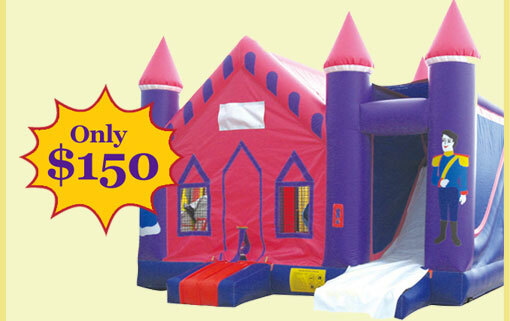 We take a $50 deposit when you book your event and then you don't pay the balance until the day of your event! Please don't make any payment until you have confirmed the reservation over the phone or via email.